Fire codes require that every residence or dwelling to have at least two possible exits in the event of a fire. Chicago is full of row houses and apartments in which the second way out is the back porch. Many structures in Chicago are decades old and need regular maintenance. Porches or railings that have fallen into disrepair create the risk of falls. Property owners must ensure that their premises are kept in safe condition, and porches, handrails and patios are no exception. If a porch or railing were to break, it could result in serious or injury or death, particularly if the landing were several stories up. These types of cases are complex. In order to prove negligence on the part of a property owner, you must be able to demonstrate that the owner knew of or should have known of a potential danger on his or her premises. Additionally, you will need to prove that the hazardous condition on the premises caused your accident and that the accident is what caused your injury. The porch accident attorneys from Nemeroff Law Offices will explore the situation and determine whether or not any code violations contributed to your accident. We will investigate the cause of the break in order to determine who should be held responsible. We will work to get you compensation for your injuries. We give all our personal injury, workers' compensation, wrongful death and medical malpractice clients a promise that if we do not recover monetary damages in your case, we will not charge you an attorney fee. If we take your case, we only get paid if we win your case. Contact Nemeroff Law Offices today. Our experienced porch or railing break accident injury accident attorneys are available to speak with you directly. 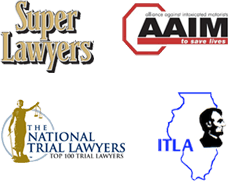 We offer a free consultation to evaluate your Chicago porch accident claim. It will cost you nothing to consult with a lawyer to see if you have a case. It is essential that action be taken promptly to preserve evidence, investigate the accident and/or conduct in question and to file a lawsuit, when necessary prior to a deadline imposed by the statute of limitations.